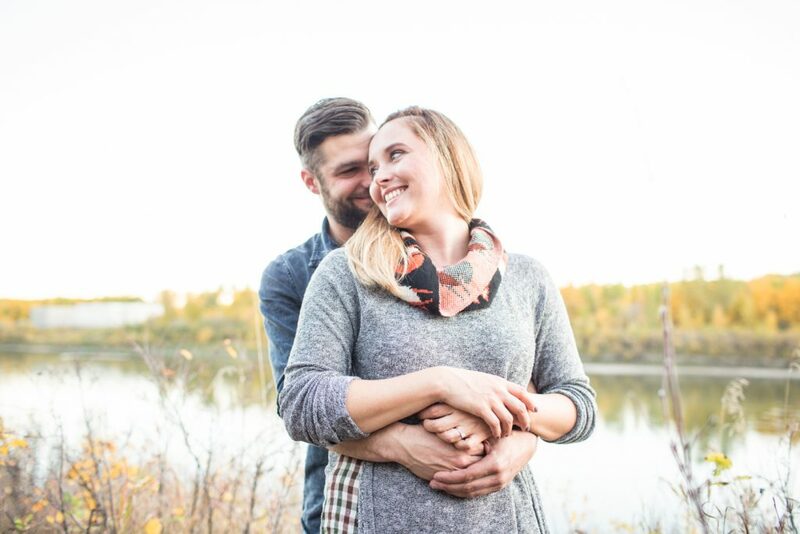 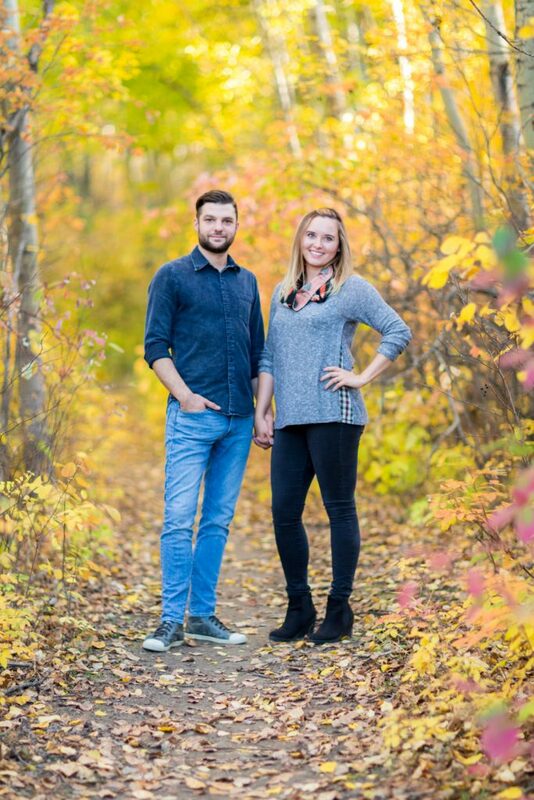 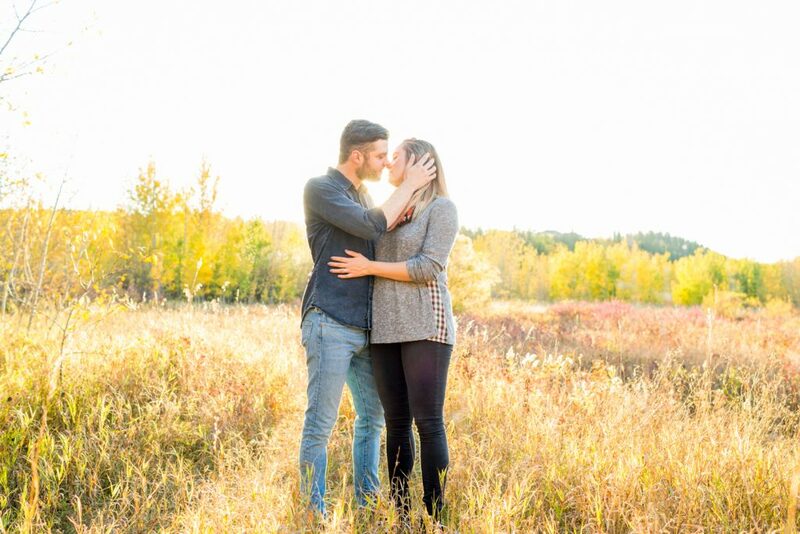 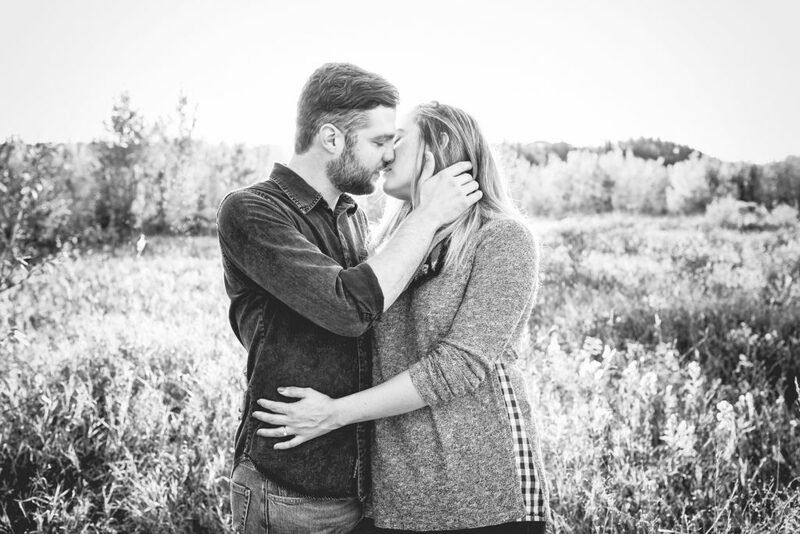 Kylee and Colin’s Terwilliger Park engagement photos were a beautiful evening spent strolling through one of Edmonton’s best river valley parks. It was a gorgeous summer evening at Terwilliger Park for some romantic engagement photos along the lovely tree lined pathways. 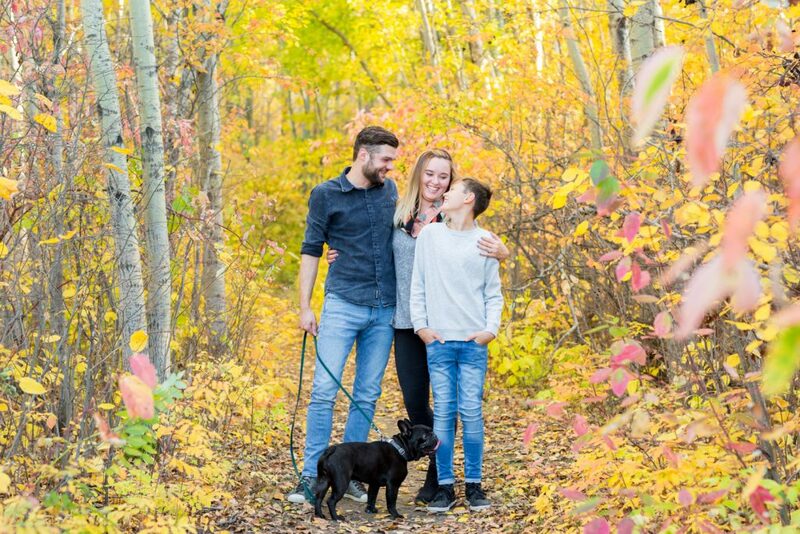 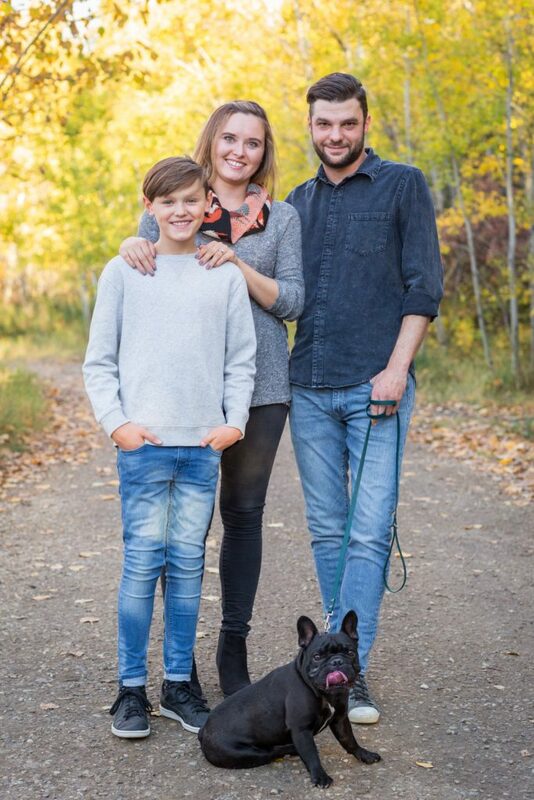 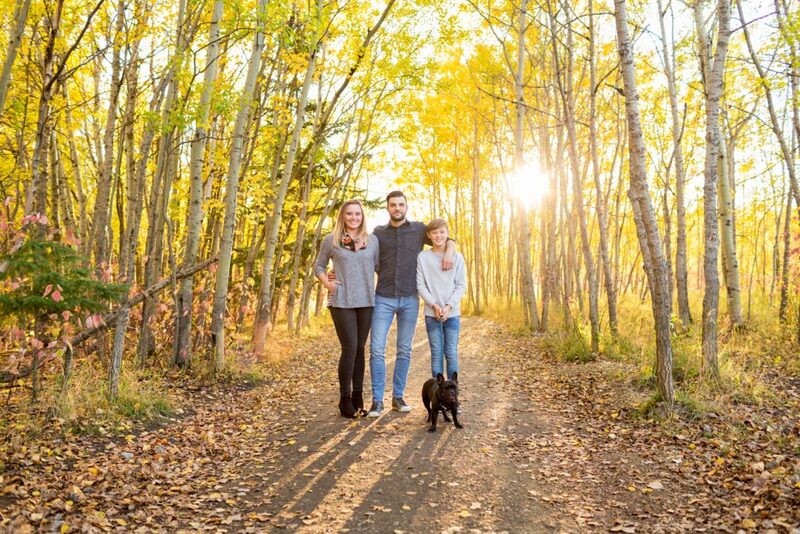 Kylee and Colin included their son and family dog in their autumn engagement photos. 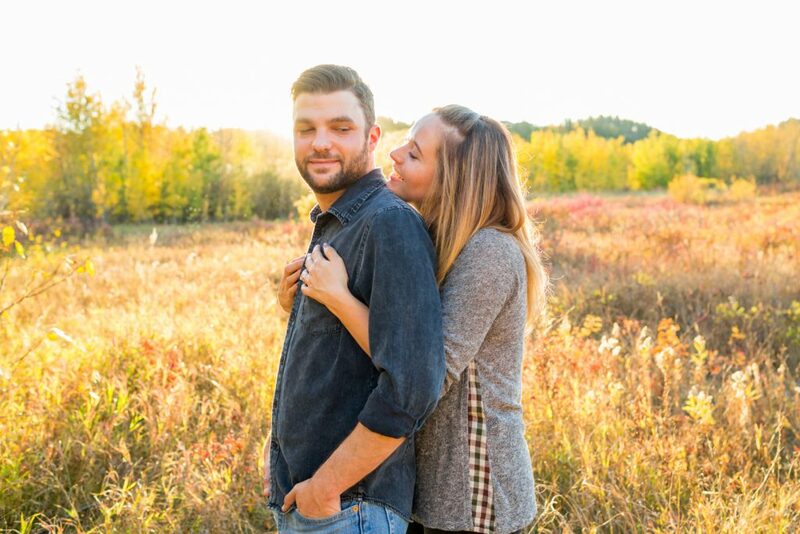 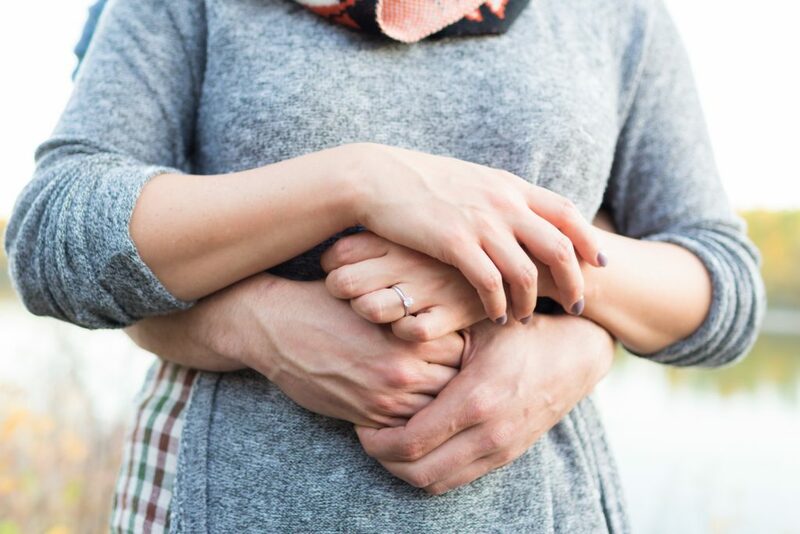 We love it when couples make their engagement session all about the things that are most important to them, their family. 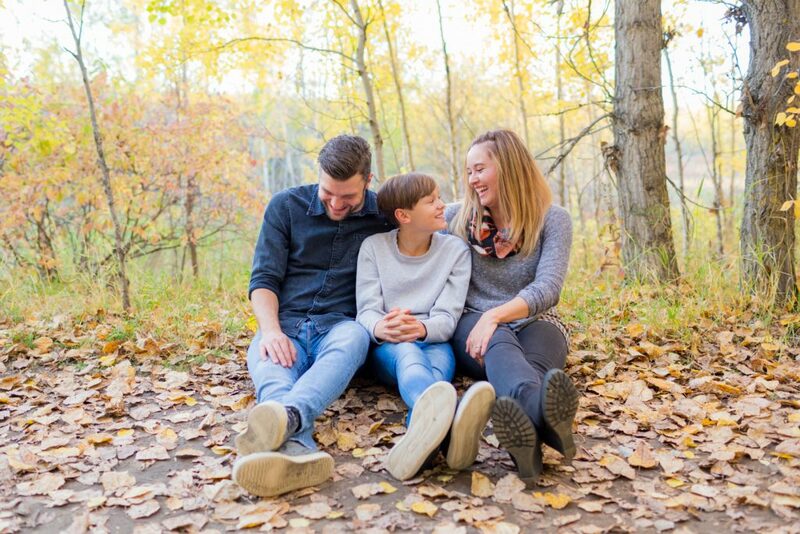 This sweet family wanted to keep their portrait session cool and casual and their perfectly coordinated shades of blue and grey did just that. 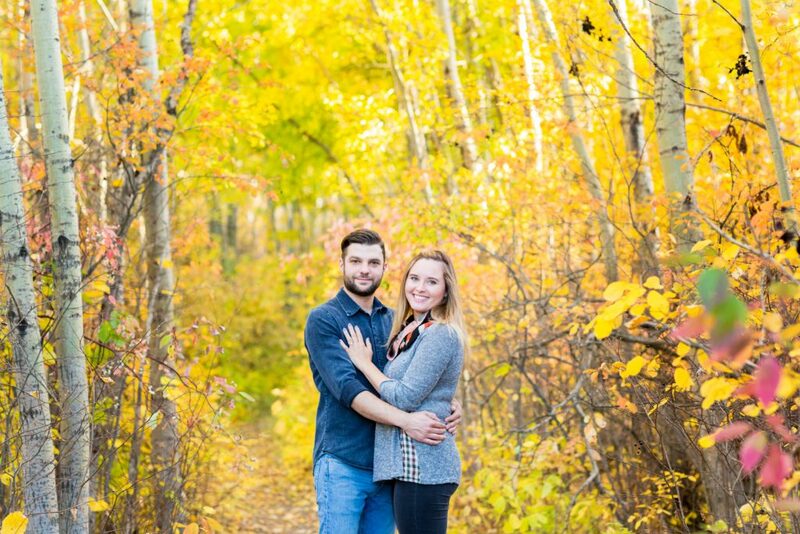 We love Kylee’s bright scarf with its pop of autumn colour! 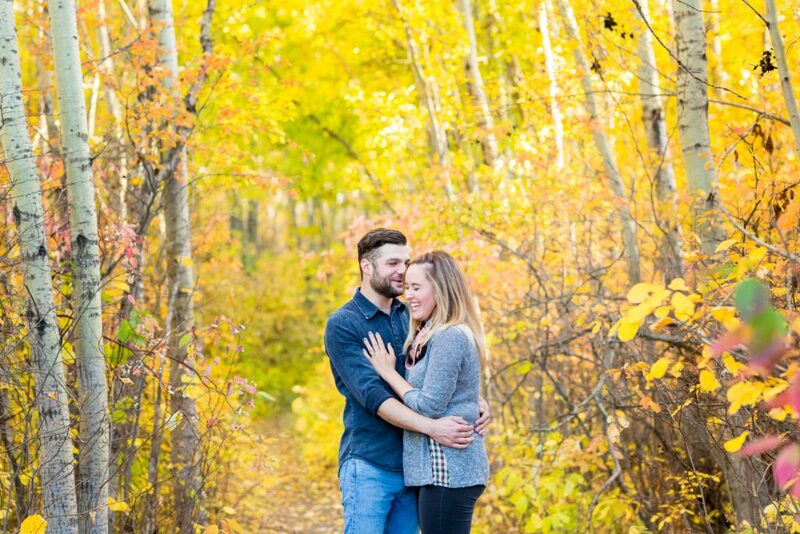 Thank you for a wonderful evening of fun family photos with a few romantic engagement pictures thrown in there for just a bit more fun. 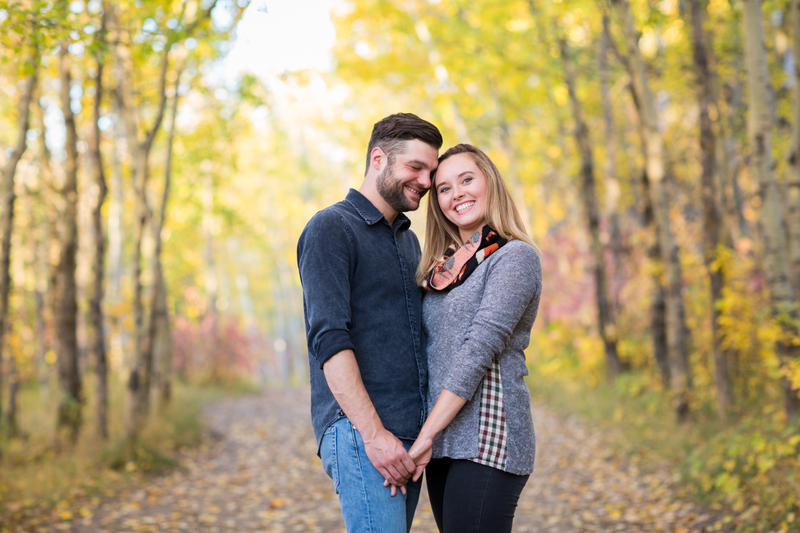 Thank you for inviting Deep Blue Photography to capture your gorgeous Terwilliger Park engagement photos.